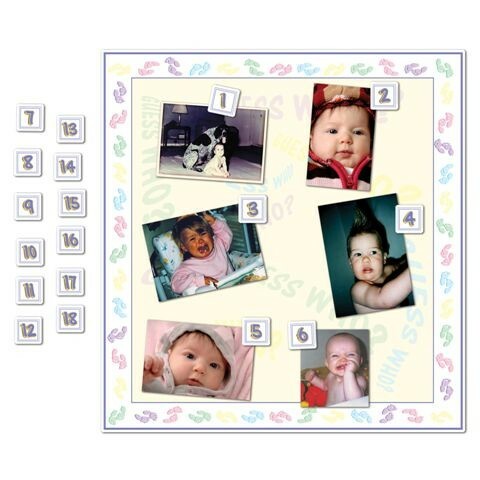 This fun game involves you obtaining a photograph from your guests of them as a baby. You then stick the photos onto the poster and number each one. Guests are then to write down who they think each of the photograph belongs to. Great fun.